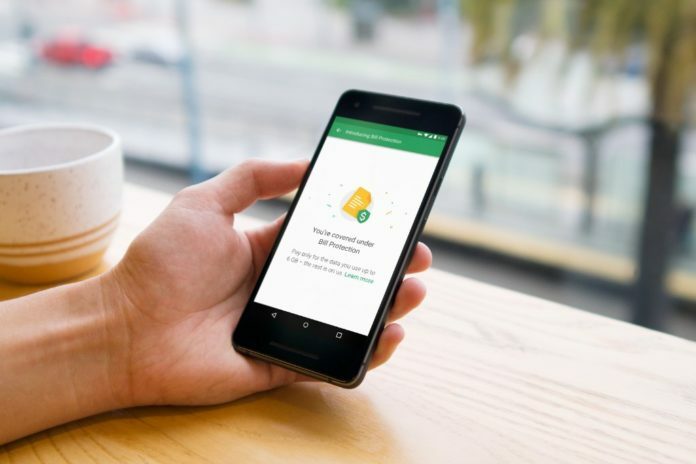 If you’re one of the few people who use Project Fi as your cell phone carrier, then you’ll have nothing to envy your pals who are using other carriers. The carrier on Wednesday announced that it will start offering unlimited data just as the top four major US carriers already do here in the states. Unlimited data will be offered through a plan called “Bill Protection,” which stops charging you for more data once you use more than 6GB of data. This means that you’ll never pay over $80 each month if you go over 6GB of data. Project Fi currently charges $10/1GB. Bill Protection will only kick in once you have used more than 6GB, which totals $80 ($10/1Gb + $20 for talk and text). In case you never go over 6GB of data in a particular month, unlike all other carriers, you will not be charged $80. Instead, you’ll just pay for the data amount of data you used. The carrier says that although the plan is unlimited, you will be throttled – receive slower data speeds – when you use more than 15GB of data within your billing cycle. Other carriers such as AT&T, Verizon, and Sprint start to slow down speeds once the user reaches 22GB of data.